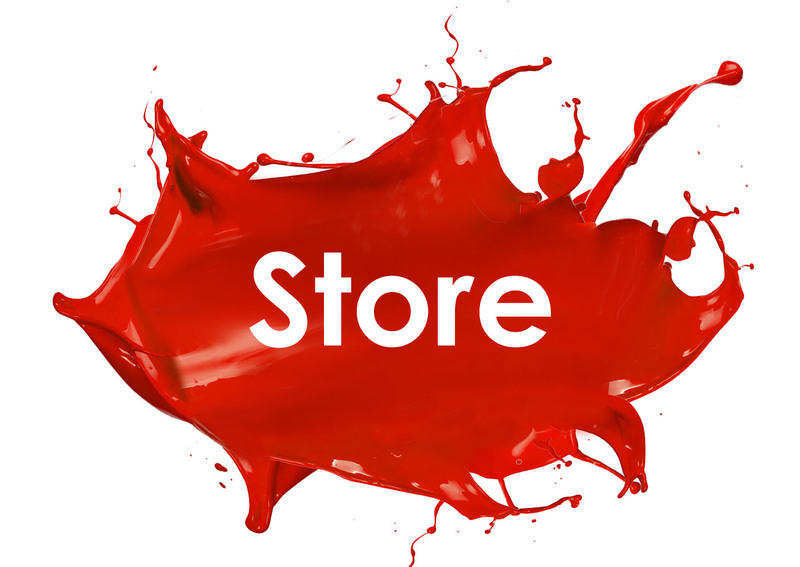 We provide everything needed for the event: a canvas, paint, brushes and an apron. We do the set up and clean up. You provide the space for the event, tables, chairs and good lighting. We encourage everyone to be creative and make their painting their own. 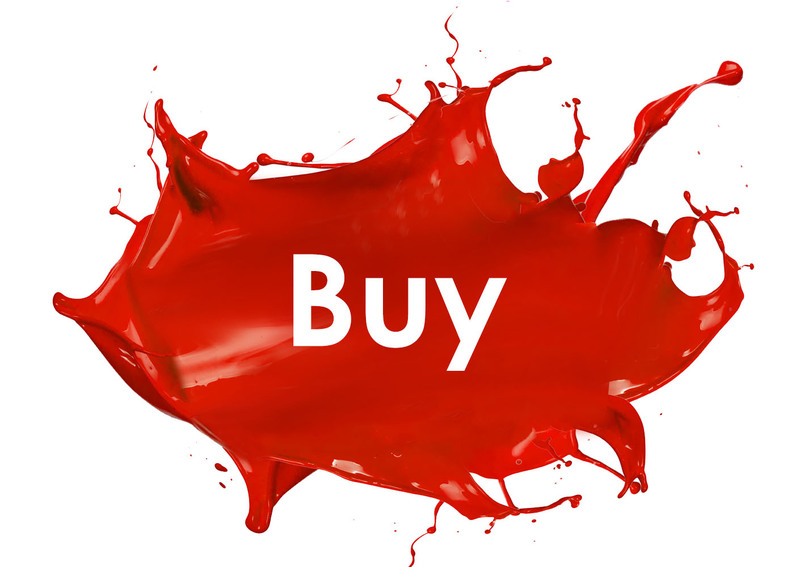 At every event we give you many opportunities to personalize your painting. Are you looking for a unique way to celebrate a special occasion? 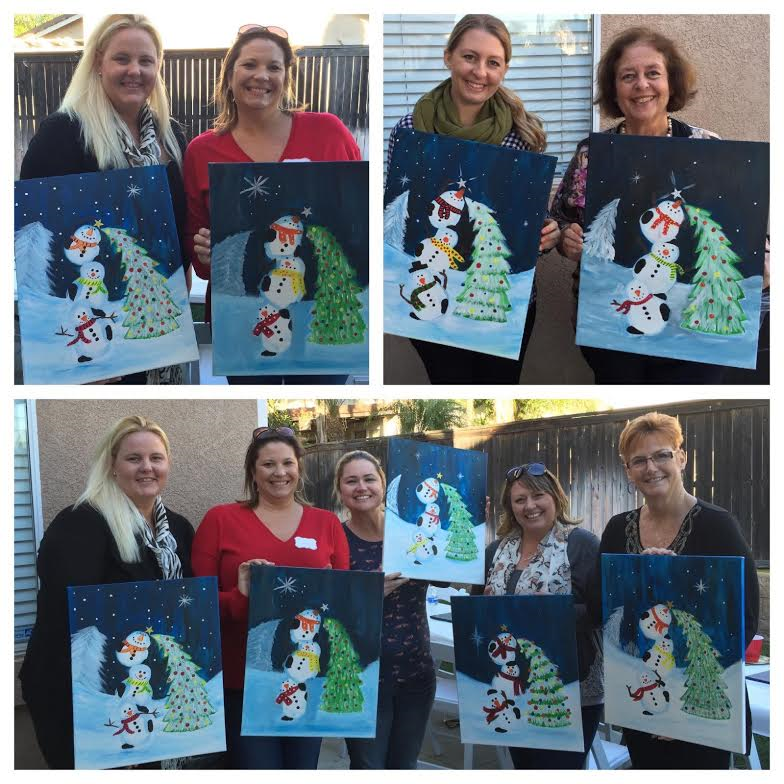 A painting party can be hosted in your home or at your favorite location. No painting or drawing experience required! 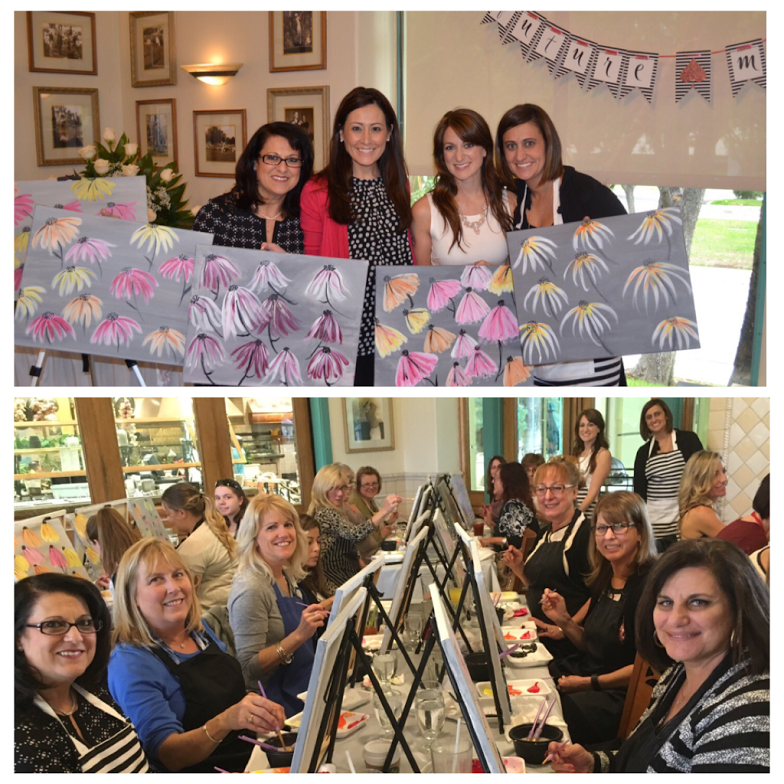 Painting parties are perfect for birthday parties, ladies night, couples parties, bridal showers, team building events and fundraisers. Everyone will paint a 16 x 20 canvas that is theirs to take home and enjoy. Private parties: 2 hour events $25.00 each person minimum of 15 painters. No groupons, living social or gift certificates or special discounts allowed for booking private parties. 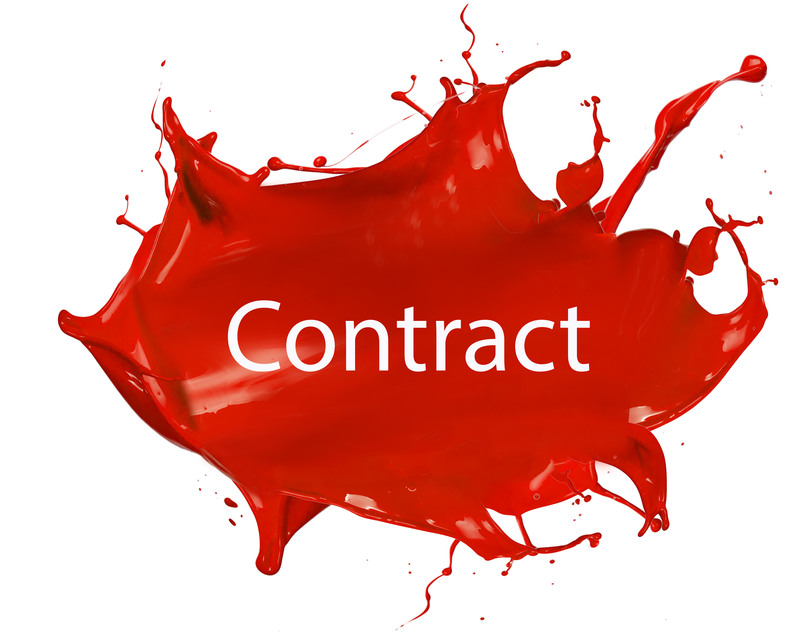 When you book an event with Let's paint Tonight you agree to follow the terms and conditions. Please read the terms and conditions before booking. 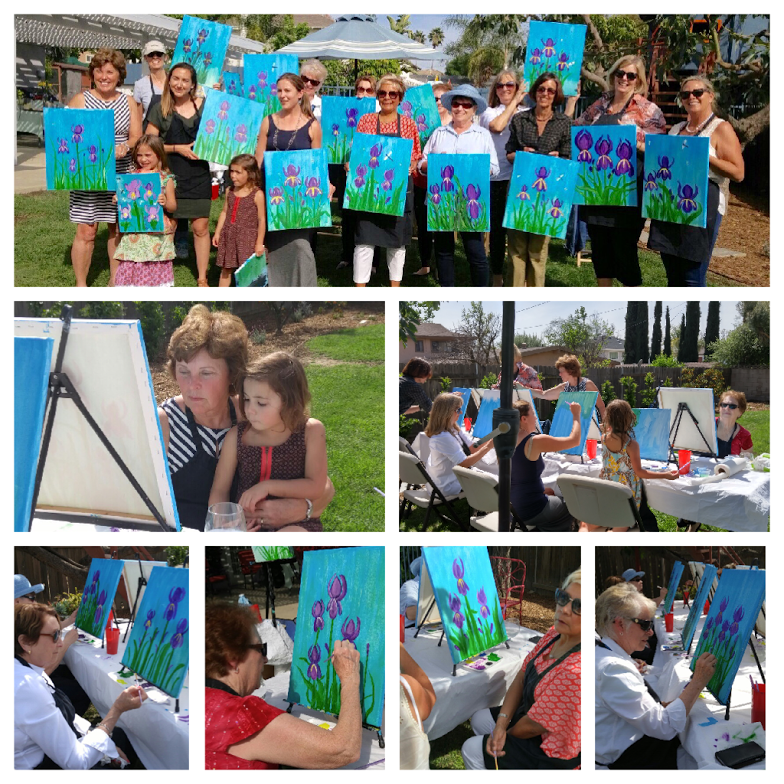 To book an event or for any further questions please email us at letspainttonight@gmail.com or call Kathleen at 909-975-9500.